Home Lifestyle Health & Fitness Can Aerobic Exercise Boost Your Mental Health? We all know that exercise plays an important role in maintaining physical health. But how many of take up exercise because we know that it can also support our mental health? In fact, physical exercise can go a long way towards making us more focused, productive, energetic and alert in the short-term and make us healthier mentally in the long-term. There is now growing evidence that greater blood circulation to the brain through the effects of regular physical exercise can help minimize the risk of age-related cognitive decline and memory loss. It is the development of widespread inflammation in the body that leads to health conditions like diabetes, cancer, arthritis and heart disease. Such inflammation can also lead to mental deterioration with the end result being Alzheimer’s and loss of long-term memory. Regular aerobic exercise can play a key role in suppressing such inflammation. A study that was conducted in 2017 and was published in Brain, Behavior and Immunity found that in all 47 volunteers who participated in the study, only 20 minutes of moderate aerobic exercise decreased markers of inflammation. They concluded that such exercise can offset the inflammation that can occur in the hippocampus due to sleep deprivation. About half of the glucose produced in the body is directed to the brain for its optimal functioning. According to the results of a 2017 study which studies the daily activity of 93 participants that was published in the Journal of Alzheimer’s Disease, regular exercise can improve glucose metabolism in the brain. They found that those who engaged in moderate activity for more than 68 minutes on a daily basis showed better results than those who spent less time exercising. The brain has over 50 percent white matter and this white matter performs the function of connecting the different parts of the brain to facilitate communication. The neurons of the brain or the nerve fibers are covered with a material called myelin and cognitive function is affected when the formation of new myelin slows or stops. This can lead to conditions like depression and schizophrenia. A 2016 study which was also published in the Journal of Alzheimer’s Disease found that myelin production can be stimulated through physical exercise as part of an analysis of the correlation between cardiorespiratory fitness and white matter integrity in 81 older adults, some with mild cognitive impairment, or MCI. Researchers found using specialized brain scans to assess white matter fiber integrity that higher levels of cardiovascular fitness were associated with increased white matter integrity and better cognitive performance among the participants with mild impairment. The hippocampus serves as the hub for learning, memory and emotion in the brain, and it can shrink with age thus adversely affecting verbal memory and learning ability. Regular aerobic exercise seems to increase hippocampal volume in women, who are at greater risk for hippocampal shrinkage than men. Everyone ranging from children to elderly adults can benefit from regular exercise. A study was published in 2014 in Frontiers in Human Neuroscience which reported that children having a higher level of aerobic fitness had white matter that was more compact and fibrous, pointing to a healthy brain. Take heart even if you have not been exercising from the time you were a child. Doctors confirm that it is never too late and you do not have to perform gravity-defying stunts to keep your brain in shape. 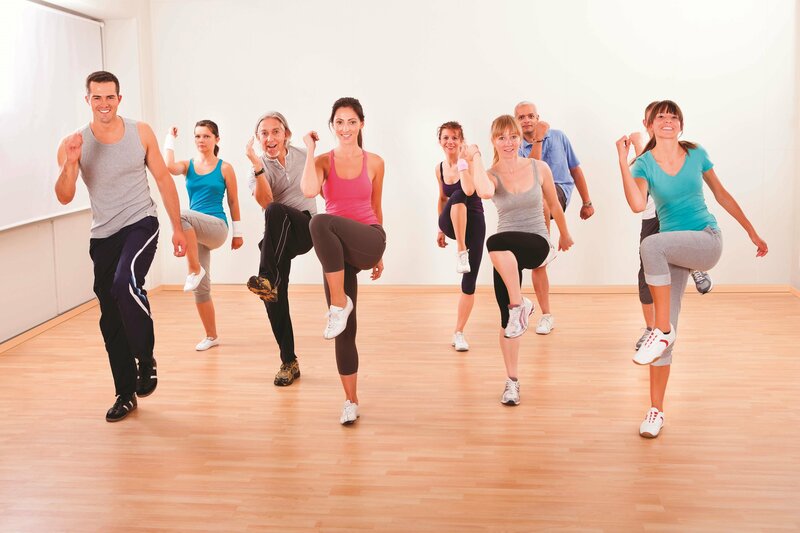 Aerobic exercises include swimming, rowing, brisk walking, biking, Zumba and skipping. You should break a sweat but should still be able to carry on a normal conversation. The key is to be consistent. Exercising for about 30 minutes a day can improve cognitive skills and memory within about three and a half months. The key is to just take that first step and then to keep going. So, wake up a bit earlier for that morning jog, park a bit further from your office, offer to carry groceries for your neighbor and you are well on your way to becoming a whole lot smarter. All exercise is good exercise.